PLAN of Central Texas honors the life of Cecile DeWitt who passed away May 8, 2017. She was one of our beloved Co-Founders and mother of Jan DeWitt. Cecile was very active as an advocate for mental health services. She was gracious and made everyone she met feel special. We are thankful for her vision, strong leadership, tenacity, and desire to serve others which helped establish PLANCTX as a support network for adults with serious mental illness and their families. As PLANCTX continues to grow and serve the citizens of central Texas, we remember Cecile’s legacy. She will be missed! PLAN of Central Texas, Inc. (PLANCTX) is a not for profit 501(c)(3) service agency that assists individuals with mental health challenges, as well as their entire families, to address immediate needs and plan for the future through the provision of various mental health services and client and family individual and group supports on a fee for service basis by a team of experienced and empathic Care Managers, Certified Peer Specialists, and Mental Health Therapists. Fun supports such as monthly Peer Socials and monthly Family Dinners (Client, Family, Staff & Board Member Dinner Club/Social Mixer) are held. Grant-funded, as well as cost-share services, are often available. PLANCTX is a member of the National PLAN Alliance. PLAN for now. PLAN for the future. PLANCTX supplements the efforts of families that are able to provide care, and fills in for these families when they can no longer do so. PLANCTX provides respite services, guidance, colleagueship, and a myriad of social activities that support care-givers and break down the isolation of mentally ill individuals. Most importantly, we are (and will be) there to provide quality care, tailored to the needs of specific individuals, to both augment the efforts of the primary care-giver and continue their efforts when they are no longer able to provide care. 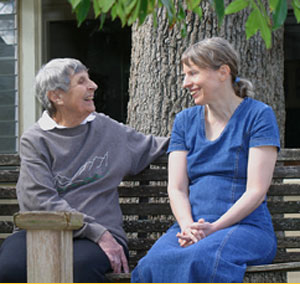 PLANCTX was founded by elderly parents and advocates in Central Texas in order to ensure that the needs of their adult loved ones who have moderate to severe mental challenges are met via the PLANCTX safety net when their current care-givers can no longer fulfill that role, whether because of death, disability, or relocation. We want to ensure a continuity of quality care, responsive to the medical, financial, social, and recreational needs, etc., of consumers of mental health services. PLANCTX provides reassurance and peace of mind to those currently providing care and/or oversight for persons with various mental illnesses, to enable the families to know, confidentially, that their loved one will continue to receive the care and attention that they need. Today, about 60% of individuals with a severe & persistent mental illness live with their families. Most of the remaining 40% receive care and attention from family members, while living somewhere else. Thus, whether they live with a parent/family member or not, people who have mental illness are likely to need and receive some or most of their supports from their care-giving relatives. Family members caring for a loved one with mental challenges provide a wide range of essential services, including: overseeing treatment and medication; providing for the consumer financially, and keeping an eye on budgeting and spending. They also provide social activities, transportation, and advice; ensure that medication is taken as prescribed and that doctors are seen as needed; and act as the consumer’s advocate in dealing with the public. It is usually the family member that opens the pathway for government benefits, and makes sure that these benefits continue to flow. Of course, dedicated care-givers, while doing all of this, also work tirelessly to ensure both that their loved stays on the road to recovery, and are cared for while doing so. Many of the care-givers in the families associated with PLANCTX are elderly seasoned veterans of providing ongoing supports, having started caregiving when their loved one was first diagnosed as a child or as a young adult. At some point, through death, disability, or simple relocation, they know will not be able to continue providing the care they now lovingly (and tenaciously) provide, and this presents a major, important problem to solve before the inevitable happens. Indeed, over a ten year period, half of the people living with a serious mental illness will lose the support of their care-giving family member. While the loss of parents &/or other close family members is usually upsetting, it can be devastating to someone living with a mental illness who has not already maximized and achieved his/her potential for independent living. PLANCTX can help make that happen, proactively, before a major loss occurs. No one wants to have to move from their lifetime home, for example, right after he/she experiences a stressful loss of a significant loved one. Thus, planning ahead, and initiation of supplemental services and supports WHILE the caregivers are still alive is the key. While great strides have been made in successfully treating mental illness, not everyone suffering from a neurobiological disorder will be able to become fully independent. Some persons will need ongoing services, supports and advocacy, indefinitely, from caring, flexible professionals who value and honor the need and right for individuals to have as much independence and freedom to enjoy and live quality lives, as possible. Without long-term, careful planning and allocation of provisions, when a long-time caregiver is gone, many things can happen, and most of them are bad. The person with a mental illness, if they get assistance at all, may be relegated to the care of someone who does not know their history, yet alone their preferences and hopes for the future. Too often, this results in poor outcomes such as loss of income and benefits, self-medication, relapses, institutionalization, living in sub-standard housing, homelessness, and even incarceration. PLANCTX exists to help families avoid these pitfalls, providing assurance that the family member needing care will have it for as long as s/he may need it, that the wishes of the individual and their families are adhered to, and that, to the greatest extent possible, the caring concern provided by a person’s family of origin continues. To encourage long-term planning for the care of individuals with mental health challenges or other disabilities, along with their families, now and for the future. To assist with this planning process, including efforts to preserve eligibility for governmental disability benefits. To provide a safety net of services and supports including care management, certified peer specialist assistance, individual and family therapy, peer and family recreation and supports, and psychological rehabilitation services which improve quality of life and enhance recovery.